The development of nuclear energy is shifting increasingly toward Asia with China playing a central role, the director general of the International Atomic Energy Agency (IAEA) Yukiya Amano said during the IAEA General Conference in September. Indeed 2015 was an eventful year for the nuclear industry in Asia. While nuclear developments in Asia is promising, it is predominantly China which is flying the flag for nuclear activities in Asia. China is where almost all the nuclear business activities are taking place at the moment. Nuclear power plants currently under construction in China account for 40% of the total around the world. Internationally, 2015 saw China flex its muscle as a leader in nuclear technology export who could potentially match the Russians. 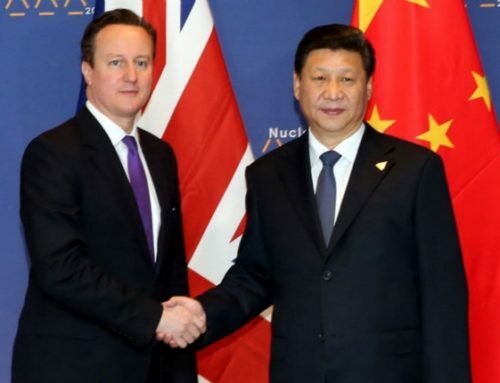 China signed multi-billion dollars nuclear deals with Argentina, South Africa, Romania, as well as finalising its participation in UK’s Hinkley Point C nuclear plant. Southeast Asia which was once seen as a region of tremendous potential for new build has continued to stagnate and to a certain extent represent little business opportunities in the near future. Strong resistance from the public coupled with the lack of strong government will, in my opinion, means that nuclear new build might not materialize. Below is a recap of some of the key nuclear developments in Asia for 2015. In February, China Power Investment Corp merged with State Nuclear Power Technology Corp, as Beijing drives consolidation in its rapidly expanding nuclear power sector with the aim of eventually exporting reactors. China’s State Council gave the go-ahead on Feb. 17 to begin building two new reactors at China General Nuclear Power Group’s Hongyanhe plant in the country’s northeast. 2 June, CGN signed an agreement with ASEAN Centre for Energy to carry out capacity-building activities for countries in the area with or planning nuclear energy programs, as well as to promote the establishment of a clean energy training centre. 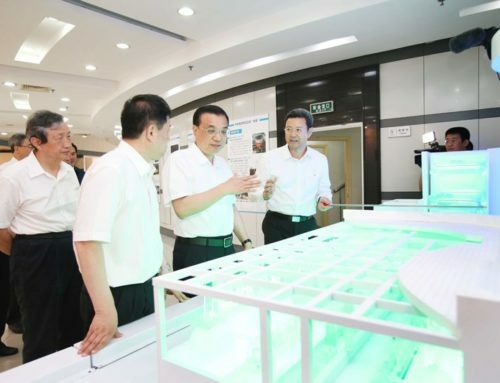 In early June China National Nuclear Power (CNNC) was listed on the Shanghai Stock Exchange. The debut follows an IPO which raised $2.13 billion, the largest Chinese listing since 2011. Late September, Bill Gates’ nuclear power company, TerraPower, signed an agreement with the CNNC allowing the two companies to collaborate on advanced nuclear technologies that address safety, environmental and cost issues – fast reactors that get ten times the energy from the same amount of fuel as old reactors. In October, China General Nuclear (CGN) agreed to invest $9 bn in EDF Hinkley C nuclear power station which is slated to deliver two giant 1600 MW Areva EPRs by the middle of the next decade. 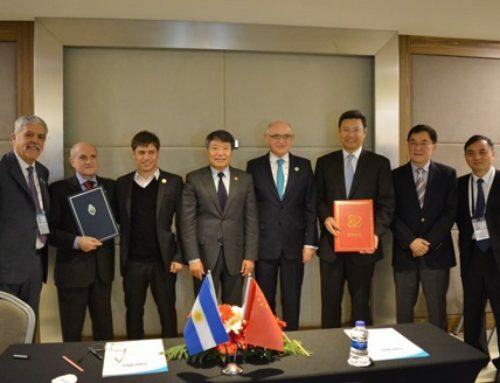 In November, China, represented by China National Nuclear Corporation concluded a $15bn deal with Argentina for the construction of two nuclear units. The same month CGN agreed to build two reactors in Romania worth $7.7bn in investment. Regulators in South Africa and China signed a technical cooperation agreement in mid-November. China is in the race for the South African NPP construction program, which is worth up to $ 50bn. China hopes to land the contract using its CAP1400 nuclear technology, which is designed by Shanghai Nuclear Engineering Research and Design Institute. Prime Minister Narendra Modi and U.S. President Barack Obama unveiled a plan centered on insurance on 25 January that they hope will convince U.S. companies to build nuclear power stations in India, but stopped short of demands to soften a liability law. The idea was to transfer the financial risk to insurers in case of an accident. In October, Union Cabinet decided to amend the Atomic Energy Act to enable Nuclear Power Corporation of India Ltd. (NPCIL) to enter into joint ventures with other public sector undertakings. The amendment has been brought in to facilitate the fast expansion of the nuclear power, utility and establishment. In August, Japan restarted its first nuclear reactor under new safety rules following the 2011 Fukushima disaster. After passing stringent new safety tests, Kyushu Electric Power restarted the number one reactor at its Sendai plant. In October, Kyushu Electric Power restarted the number-two reactor at Sendai. In March, Saudi Arabia and South Korea have signed a MOU to cooperate on the development of nuclear energy. The MOU calls for South Korean firms to help build at least two small-to-medium sized nuclear reactors in Saudi Arabia. In July, The Ministry of Trade, Industry and Energy (MOTIE) published its 7th basic power supply plan for the period up to 2029. The updated plan includes the construction of two additional nuclear power reactors, which had not featured in the previous plan. South Korea currently has 24 reactors in operation and a further ten either under construction or planned. In April 2015 BATAN declared RENUKO, the Russian-Indonesian Consortium with participation of ROSATOM subsidiaries, a winner of the tender for the conceptual design of a 10MW multipurpose experimental high-temperature gas-cooled reactor in Indonesia. On June 2, 2015 National Nuclear Energy Agency of the Republic of Indonesia (BATAN) and the Russian State Nuclear Energy Corporation ROSATOM signed a MoU on the Development of Peaceful Uses of Nuclear Energy. In December, Energy and Mineral Resources Minister Sudirman Said announced that Indonesia will not resort to nuclear energy. The move means a previous $8-billion plan to operate four nuclear plants with a total capacity of 6 gigawatt by 2025 will be canceled. The minister added that Indonesia will continue to follow developments in the field of nuclear technology and that it would remain a last-resort option for possible use beyond 2050. Vietnam’s plan to introduce nuclear power to its energy mix faced a fresh setback in January as safety concerns and legal issues pushed back the planned construction of the country’s first nuclear plant by about five years from the initial schedule. Construction isn’t likely to begin until 2019 according to Hoang Anh Tuan, director general of Vietnam Atomic Energy Agency. The government had aimed to build 13 nuclear reactors in eight plants with a combined capacity of 15 gigawatts by 2030. The country has chosen Rosatom to build the first plant, the 2,000 megawatt Ninh Thuan 1 in October 2010. Vietnam will receive a state loan of $8 billion from Russia to finance the project. Government was supposed to table the Atomic Energy Regulatory Bill in Parliament by this year in order to get the project underway by 2021. However this has not materialize. The revised bill has a holistic approach to nuclear power management and regulation. The new law will now encompass safety, security and safeguards following heavy criticisms to the first Atomic Energy Bill which was debated and later withdrawn earlier this year. Malaysia presently has the Atomic Energy Licensing Act 1984 which regulates the nuclear industry. Malaysia Nuclear Power Corporation (MNPC) will finalise its public opinion survey on nuclear as an energy resource and to complete the report by year-end. The survey found that over 70 per cent of its 2,400 respondents were uncertain about the viability of the new resource. MNPC had signed non-disclosure agreements with nine foreign companies to obtain technical information to access the technology. They have yet to identify a site for the nuclear power plant and will identify the site after the public engagement is done and when the government gives the green light to go to the ground. The government was reported as early as December 2010 to have intentions of building two nuclear power plants. However, the project initially aimed to be completed by 2021 and 2022 was postponed as the Fukushima nuclear reactor meltdown in Japan made the public uneasy. MNPC was formed in January 2011 under the government’s Economic Transformation Programme and acts as a Nuclear Energy Programme Implementing Organisation. not discarded nuclear as an option for strengthening the country’s energy security. In early 2011, a “readiness report” was submitted for the government to make the decision to “Go Nuclear.” However, after Fukushima, the government announced that the decision to continue with the project was postponed for 3 years, and later changed to 6 years. The current PDP 2015 includes 2 units of nuclear power plant, 1000 MW each, the first nuclear power plant would be expected to be in operation in 2035, and the second one in 2036. Nuclear power developments in Asia, with a strong focus on China, will be discussed during the 4th edition of Asia Nuclear Business Platform which will take place 18-19 May 2016 in Hong Kong.